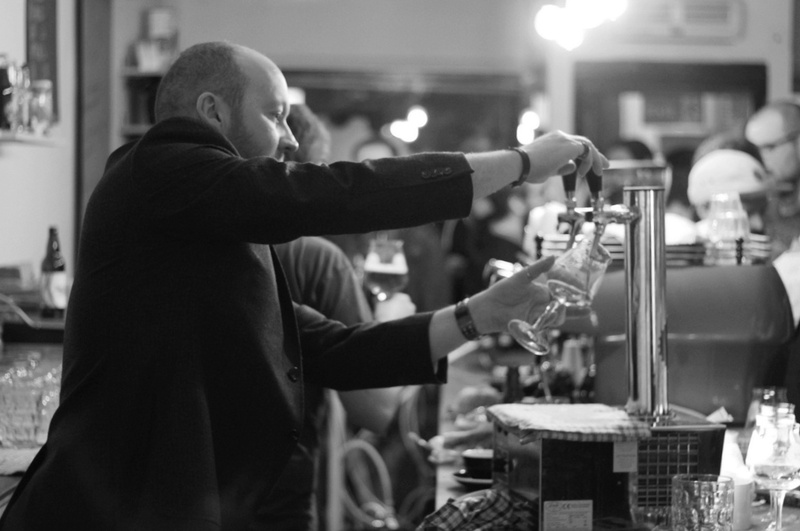 Bar, bar, popup, have you any booze? Yes sir, Yes sir, booze booze booze. Tuesday 27th January - Kicking off post #200 (hooray!) 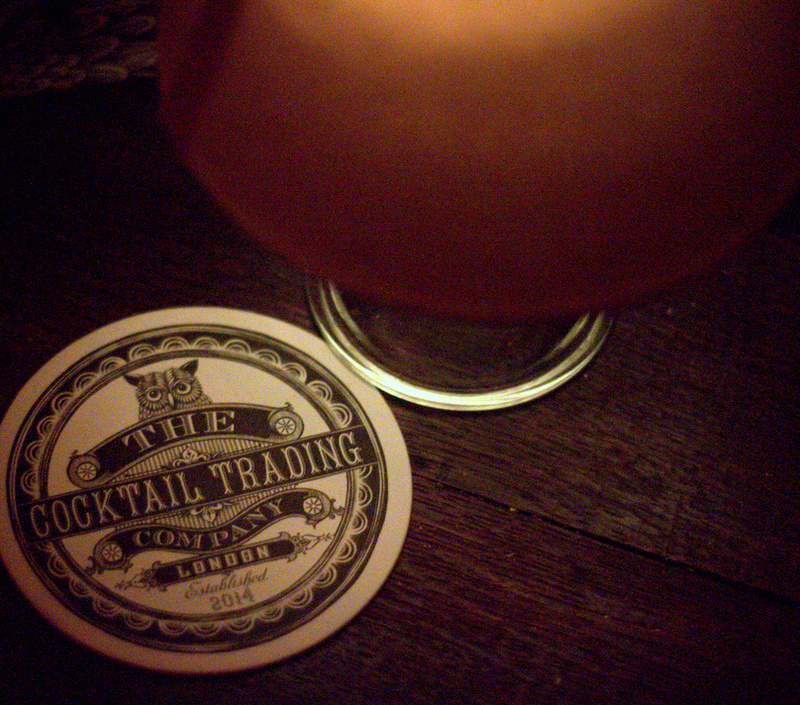 is The Cocktail Trading Co. (Development Bar and Table) - catchy. Three of the bar world's finest and funnest - is this a word? 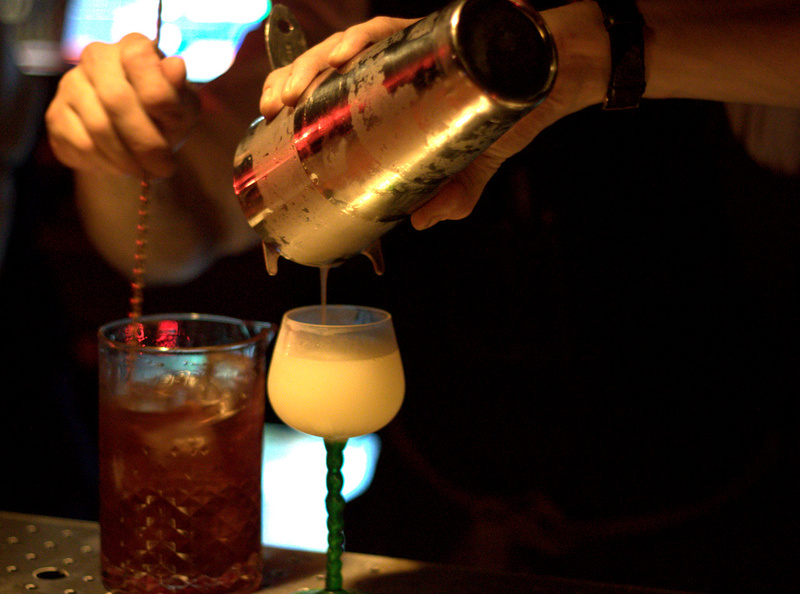 - gents have joined forces to take over Central & Co.'s basement bar (previously the quirky but empty & Co.). 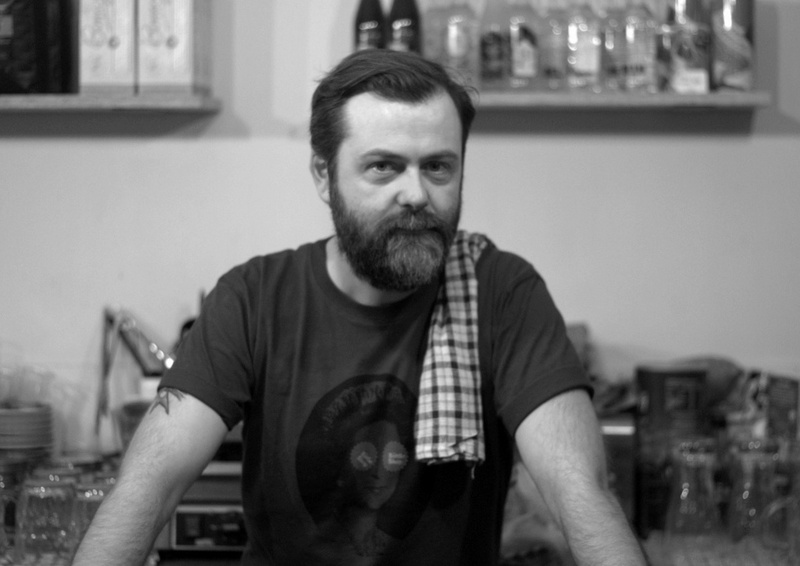 Andy Mill, Elliot Ball & Olly Brading are the dream team bringing their combined experience from the likes of London Cocktail Club, Covent Garden Cocktail Club and Steam and Rye to the development bar and table. If you manage to grab one of the handful of tables, you'll soon find yourself stuffing your face with monkey nuts whilst trying to read from their adorable little cocktail booklets in very low, funky light. I'm usually keen to sit up at the bar to maximise bartender face time, but they really work the room well at CTC so this isn't a problem. 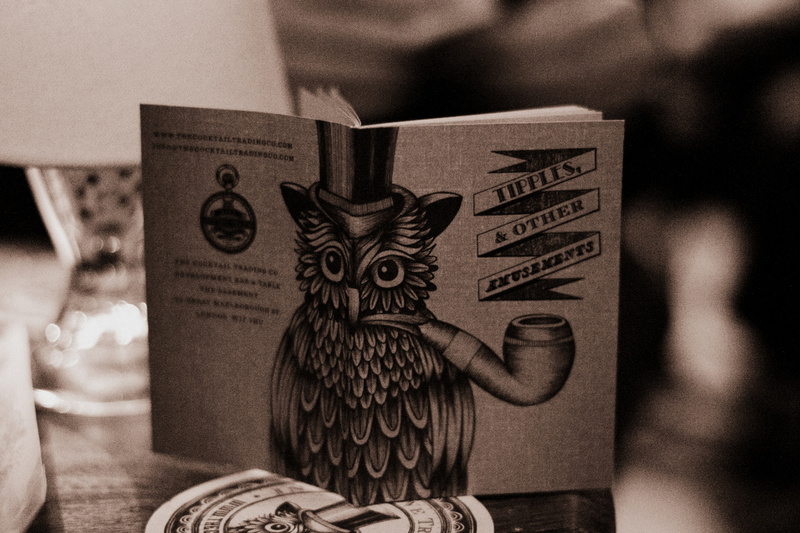 The booklet eases you in gently with Clover Clubs, Bellinis and Margaritas (perhaps not needed in the menu?) before getting on to their bonkers house drinks. 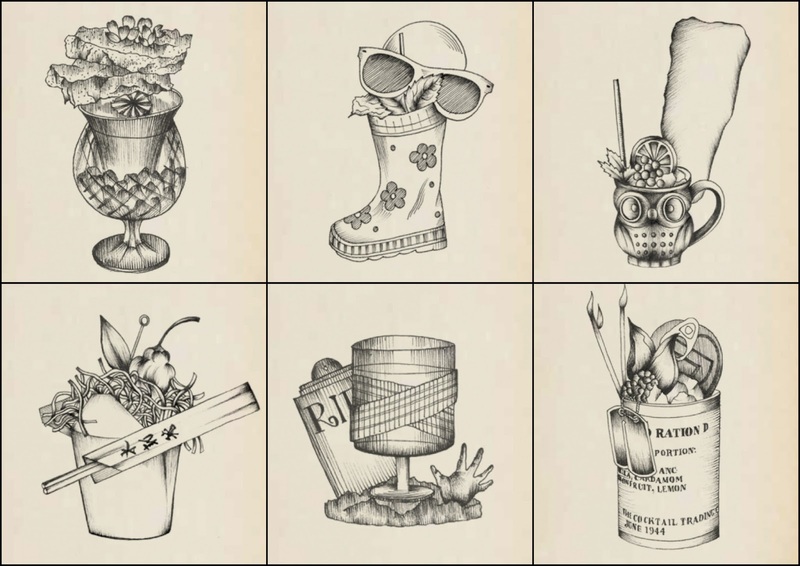 The fun continues with more boozy creations appearing in wellies, upturned bells and urns. Nutty presentation normally comes with a hefty price tag, but CTC keeps everything in the reasonable £8-9 region. Many of the house drinks are a little on the sweet side for me though, so I started going off-menu, which isn't a problem at all when there are top bartenders queuing up to try something else. 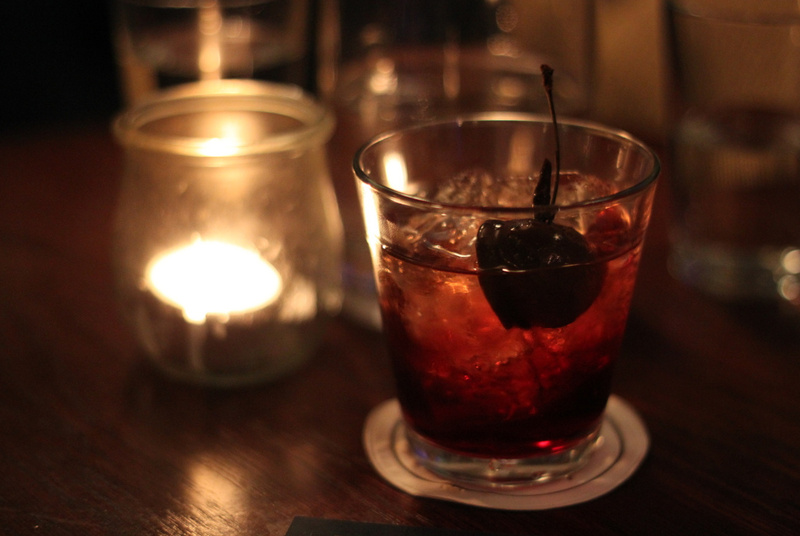 Highlights included The Last Call (a twist on The Last Word with smoky mezcal replacing the gin), and a sublime Negroni made with Martin Miller's Westbourne Gin and the new Belthazar Red Vermouth which seems to be hugely popular with the trade. 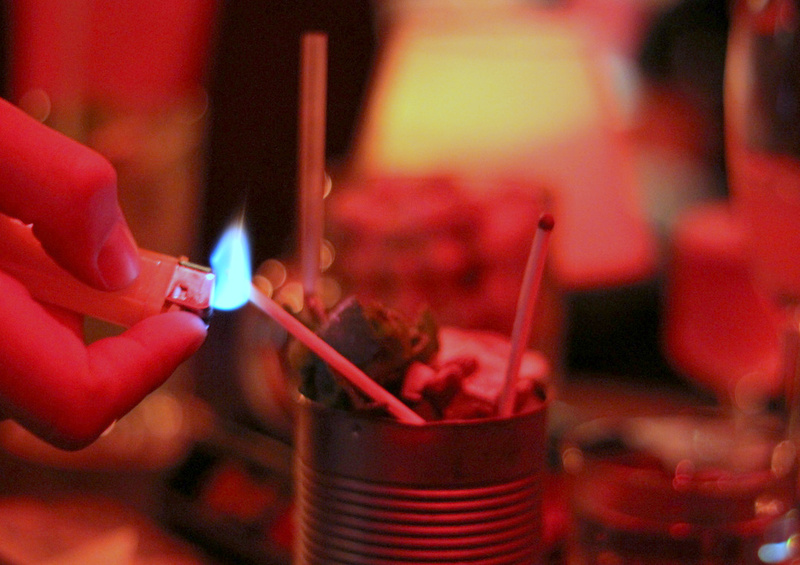 Quirky house drinks, classics, shots, good tunes and great staff all add up to create a lively, little party bar that Soho will welcome with open arms. As I was leaving, many more sessions were just starting, and I'm glad I squeezed in a quick shot with the wonderful Wilkes on the way out - cheers! 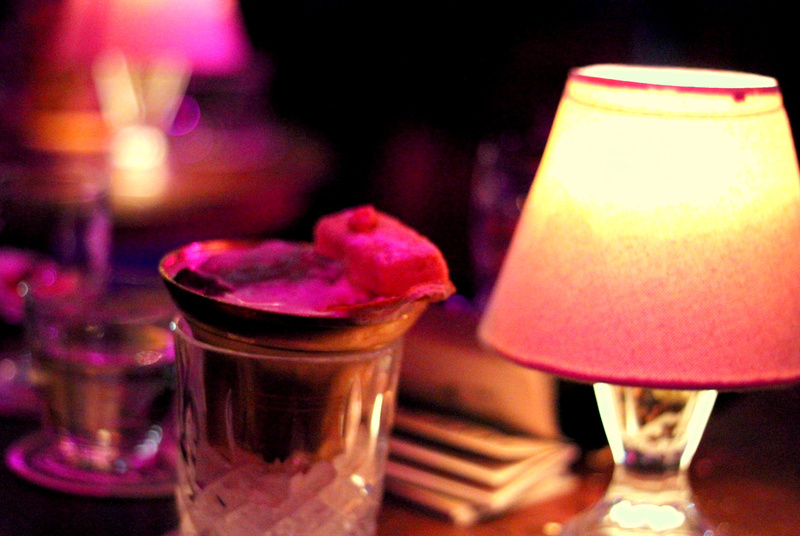 Wednesday 28th January - Bar #2 on the blog today is Merchant House, a hidden gem in the City from the reliable London Bar Consultants. 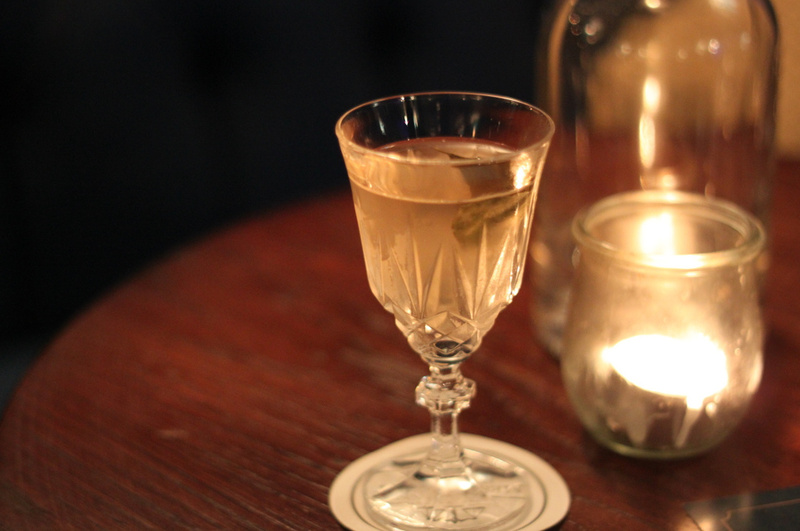 Compared to CTC's tiny basement, Merchant House is an underground palace, centred around a magnificent bar stocked with an outrageous range of rum and gin (amongst other things). First you have to find it though, and that requires knowing the backstreets of Bank pretty well. 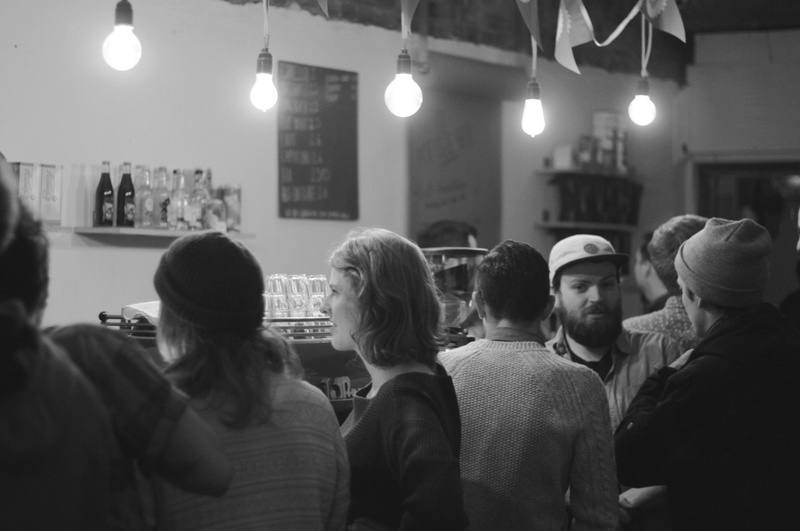 Then you'll walk through their door in to The Pantry, a currently unmanned room full of booze which is soon to become their shop for showing off lesser known and vintage spirits amongst other delights. 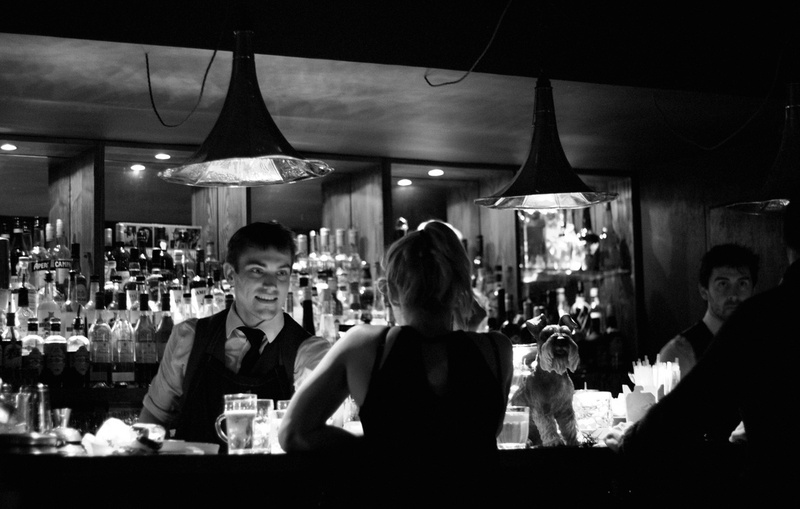 Try not to get distracted and head downstairs to the main bar where you will most probably be greeted by Nate or Lewis, the London Bar Consultants themselves. It was a busy evening when we popped in, with a private party on one side, a Gin Journey group on another, and various tables set up for a D1 Gin masterclass. The hilarious Hebe looked after us all evening, keeping us thoroughly entertained (and watered) in our cosy corner. 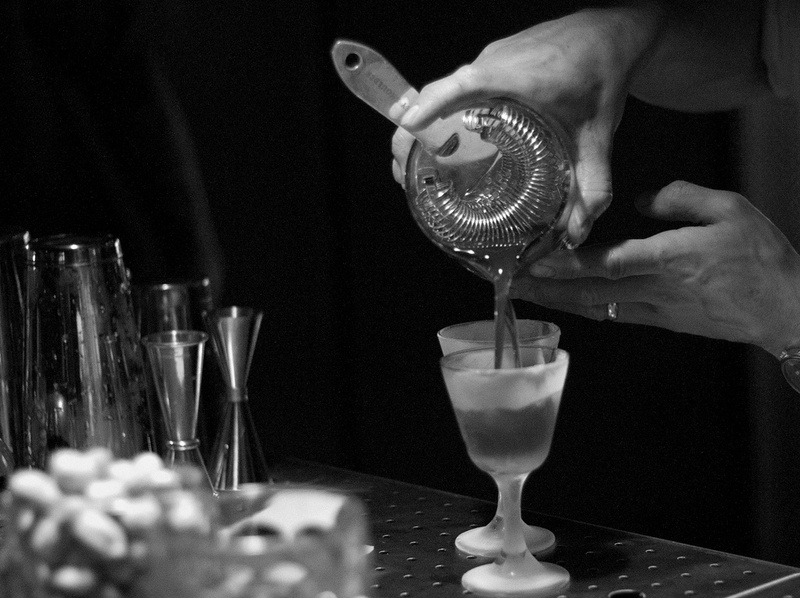 House drinks are around the £12.50 mark which may put some off, but they are all made with premium ingredients (by excellent bartenders), and Merchant House favour a boozy 8:2:1 ratio in most of the cocktails to allow their fine spirits to shine. We kicked off with two glorious pre-bottled numbers which will eventually be available to buy (or refill) upstairs. The Red Dragon is the perfect vehicle for Diplomatico Exclusiva Reserva, a fabulous, affordable rum. 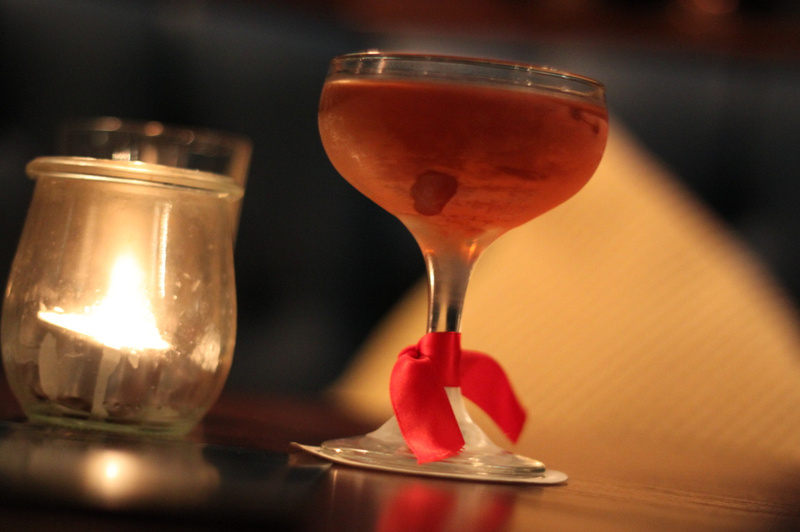 It's masterfully supported by Cocchi di Torino, house curacao, and orange and spiced chocolate bitters, making it an all-booze affair. It's serious and unmissable. On a similar theme, The Chocolate Negroni is worth every penny, making great use of brand new 58 Gin (big fan), Belthazar Red Vermouth (told you it's everywhere), and bitters, with a chocolate covered cherry subtly adding cocoa-based bitterness to the drink. Note to drinkers - the cherry probably has a stone in. Tim found out the hard way. We moved off house drinks after that, trying out simple and sweet 58 Gin Bergamot Gimlets and a marvellous Mezcal Martinez concoction that I'm definitely going to attempt at home. 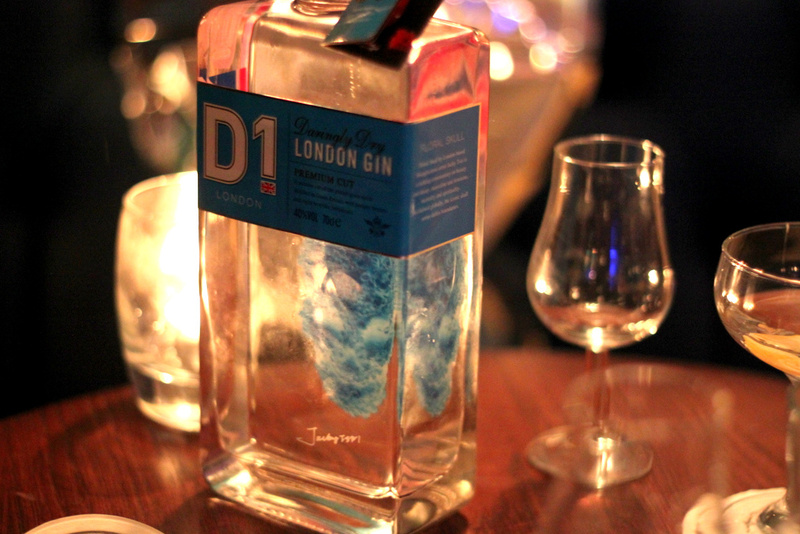 As we sipped on our cocktails, the owners of D1 London Gin made their way around the room, providing tasters of their stylish gin, alongside some fine examples of it in the field including a Dry Martini, a Hanky Panky (still unconvinced by Fernet) and a G&T. Merchant House run many (often complimentary) masterclasses which you simply have to reserve a space for - check their website regularly for event updates. You can also join The Connoisseur's Collective member's club for only £50 which I highly recommend. As well as granting you access to special events, you also get a shot of whatever spirit features in your cocktail on the side every time. Win. You can't go wrong at Merchant House. 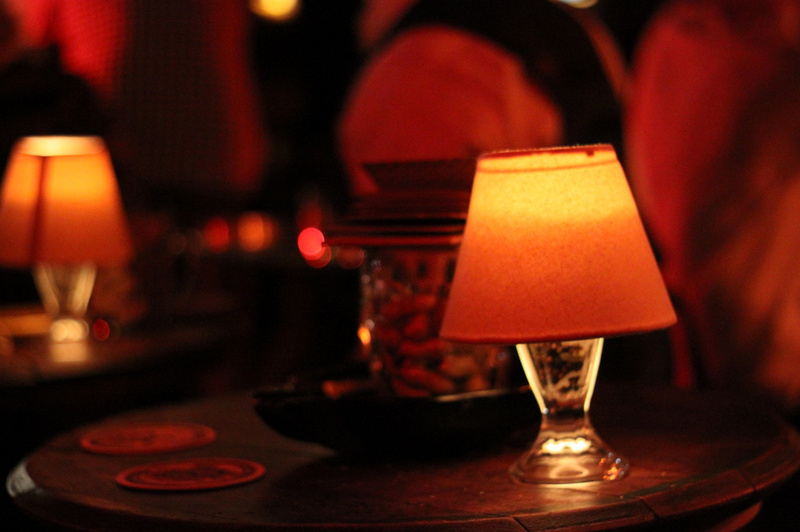 Set aside an evening, and some cash, and make yourself comfortable. They'll do the rest. 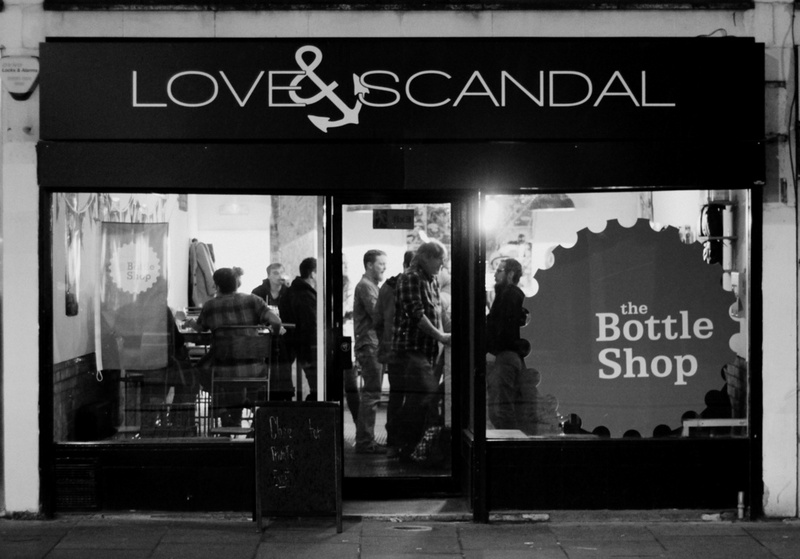 Friday 29th January - Last but not least, here are some photos from an all too brief craft beer pop-up from The Bottle Shop folk at Love & Scandal on Lower Marsh. I had hoped it would be around for longer (that's tonight's plan out the window), but a little bird tells me that The Bottle Shop are hoping to announce an exciting new partnership soon. 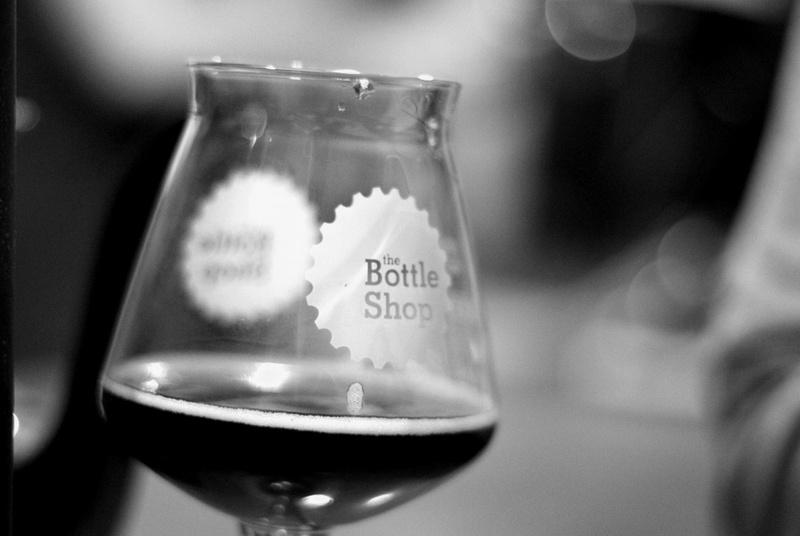 Keep an eye on @BottleShopPop for the latest news. 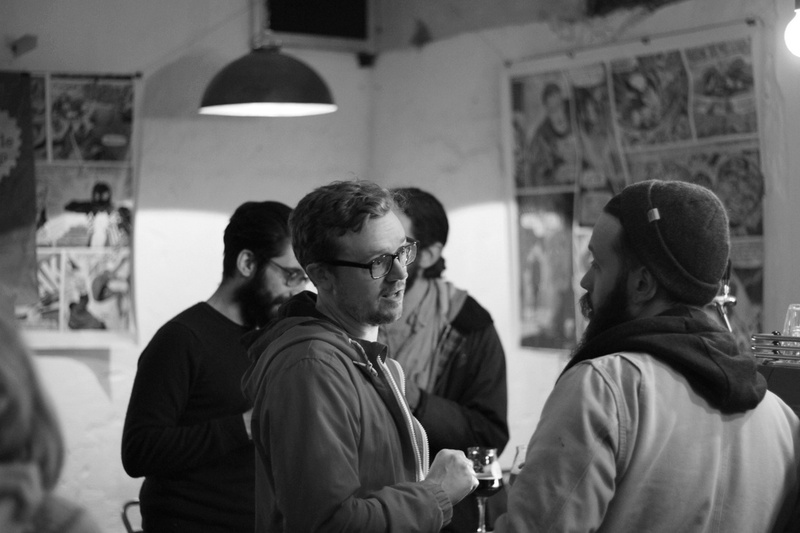 UPDATE: I rocked up to Love and Scandal last night (13/2), and they are keeping it as a bar in the evenings, with a fine selection of cans and bottles provided by The Bottle Shop. They aim to bring in some taps soon, and they are working on a proper food menu having recently sorted out a kitchen downstairs. It's a very pleasant, relaxed spot for a few drinks near Waterloo, providing the Young Vic and Scooter Caffe with some much needed competition. I've also just seen a pretty good looking brunch menu on Twitter today, so they are worth keeping tabs on.